Vera Bodiford Haines, 77, of 3115 Old Elizabethtown Rd, Lumberton, NC, departed this life on April 11, 2019 at Southeastern Regional Medical Center. She is preceded in death by her parents, Gordon Q. Bodiford and Edith Perry Bodiford and two brothers, Gordon C. Bodiford and Kerry (Buddy) Bodiford. Family will receive friends on Thursday, April 18th, 2019 from 5:00 to 7:00 pm at Revels Funeral Home Chapel Lumberton. 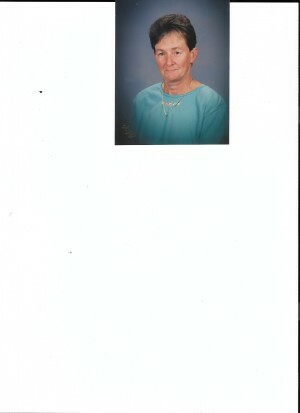 Ms. Vera is survived by one daughter, Sarah and Chris Everett of Rockingham, NC; one brother, Terry Bodiford of Lumberton; two sisters, Sherry and Harrelson Britt of Lumberton and Peggy and Mike Eagon of Asheboro; three grandchildren, Taylor Forester, Kelsey Forester and Jordan Everett and several nieces and nephews.